bwell.mobi/grove is the better address!!! 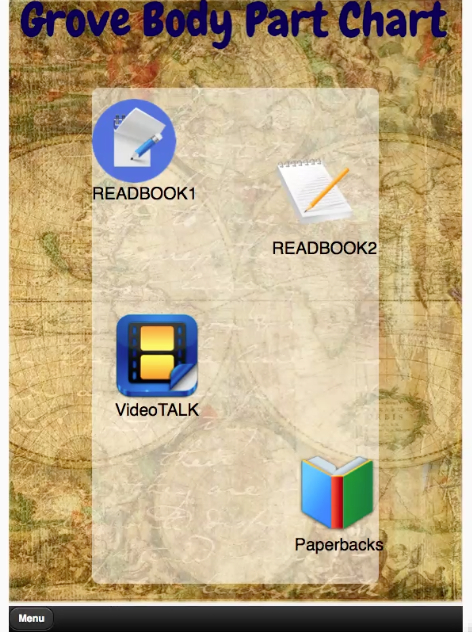 I had my 2 medical arts books already…Maybe I could make an APP using them? I think a good book is one of the best ways to keep people in waiting rooms from getting ridiculously bored…It’s an oldie but a goodie! 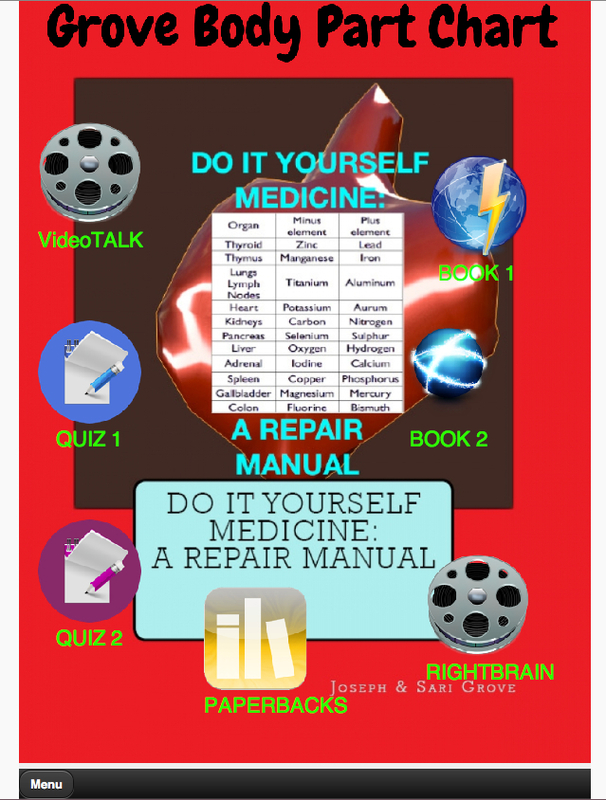 Read Grove Body Part Chart:A Medical Arts Innovation, & Do it Yourself Medicine:A Repair Manual FREE! Two Canadian artists have re-defined the Medical Arts by creating a chart that tells you what your imbalance is, what its antidote is, & where to find that element in the real world…The body is broken down into 11 organs & each organ is shown to have 2 elements that must live in balance for health…Finally understand your own health! Simple yet powerful information!